Photography has always been a passion of mine, and travel has inspired my work. Having had the opportunity to live in various locations, capturing the vibrancy and soul of a place through photography, has always been my intention. Originally from North Yorkshire, I spent much of my childhood around the picturesque Yorkshire coastline. I currently live in Manchester and lecture part-time at Manchester Metropolitan University. In 2017, together with a group of artist friends, we established 'Art In The Alley'. 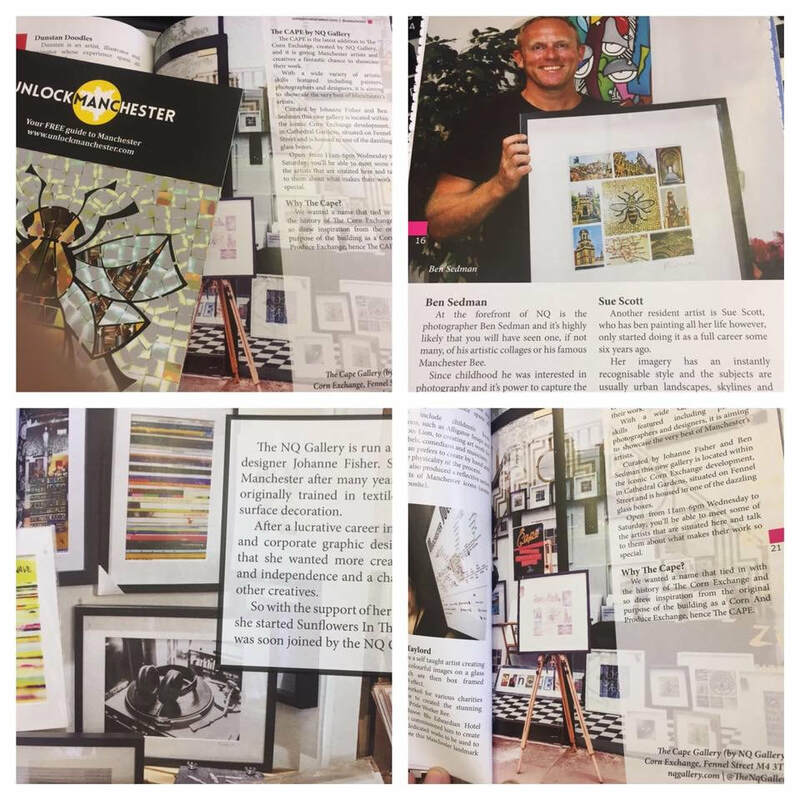 The concept involves holding art events, around Manchester, in disused alley spaces and inviting local residents and businesses, to meet the artists and view their artwork, which hangs from the alley walls. Our first event featured on the BBC Manchester website, a video of the launch has had over 80k views to date, and has inspired others to hold similar events and transform disused places into creative community spaces. 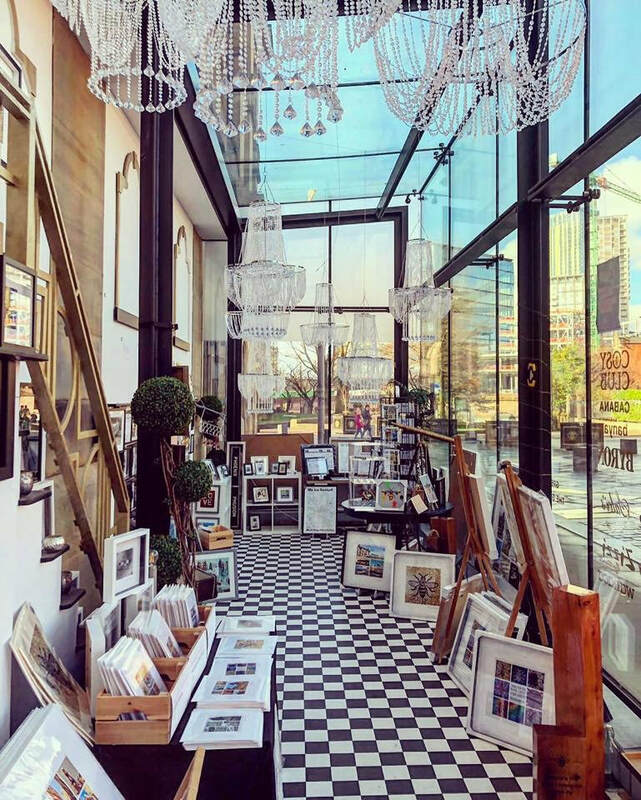 For more information, visit our website, and please get in touch if you have a space which might be suitable for a future event https://www.artinthealleyuk.co.uk/about. 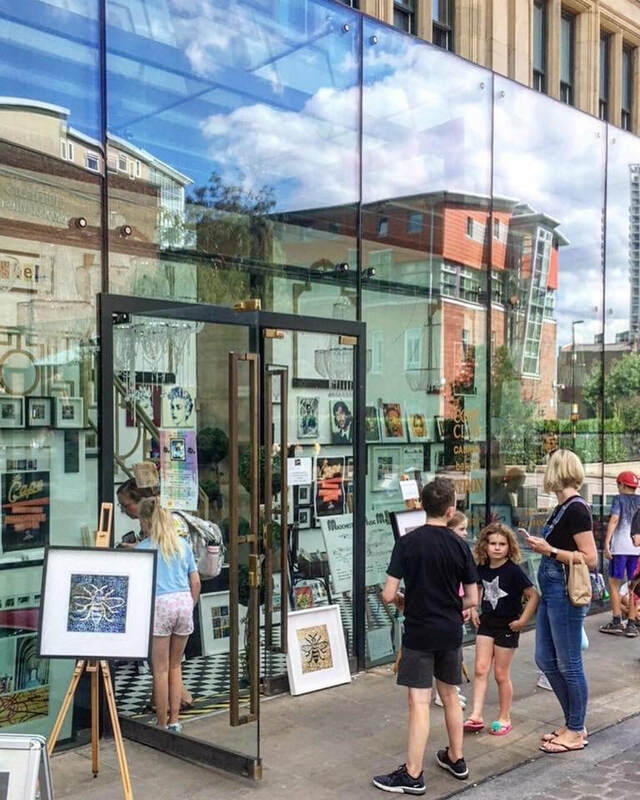 In 2018, in partnership with Joe Fisher, owner of the NQ Gallery, we launched 'The CAPE Gallery', located next to the Corn Exchange, in Cathedral Gardens, it has now become a well established hub of creativity, within Manchester's diverse art scene. Also in 2018, I was one of the artists, lucky enough to be selected to design one of the iconic Bee sculptures, for the Manchester 'Bee In The City Parade'. 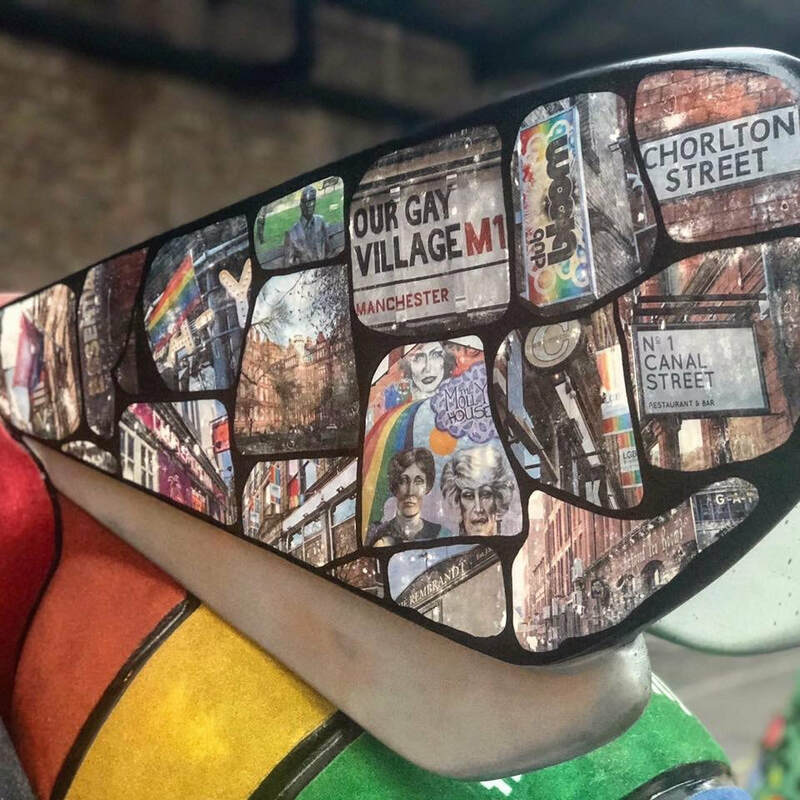 In collaboration with CJTaylordArt, we created the LGBTQ Community Bee, which the former Lord Mayor of Manchester, Carl Austin, had made possible. With help from furniture artist, Claire Taylor and AT Designs, I used my images to create the design for the wings. You can find our Bee in Sackville gardens, where it is on permanent display, for at least the next three years. https://beeinthecitymcr.co.uk/. I spend much of my spare time on the stunning Llŷn Peninsula, North Wales, and have my work in several shops and galleries there, including The Tonnau Gallery and Oriel Plas Glyn-y-Weddw, the oldest gallery in Wales https://www.oriel.org.uk/. Together with friends, we will be launching our own art gallery, 'Bert's Gallery', at Bert's Kitchen Garden Eco Campsite, which will be opening in Trefor, in May 2019 https://www.bertskitchengarden.com/. I'm also currently collaborating with Angela Edmonds, a photographer based in Australia, working on a new range of designs, focussing on Surfers Paradise, The Gold Coast and Brisbane. I'd love to get involved in other projects, so please get in touch, if you have any ideas in mind! Slideshow showcasing examples of some of my work. The CAPE Gallery, Cathedral Gardens, Manchester. The NQ Gallery, 2nd Floor, Afflecks Palace, Northern Quarter. The Chorlton Art Market, Chorlton Precinct. I can create all kinds of designs, in a wide range of innovative shapes and sizes. Great for birthday and wedding presents, for your home, holiday home, office or to send to friends and family abroad. I have worked with a number of large companies, supplying art work for their walls, and have created many bespoke designs for customers which include images that are meaningful only to them, for example, wedding venues and street names. Please contact me if you have any questions and I look forward to hearing from you. 3) Contact me on 07738558639 or send an email to bensedman@hotmail.com to place your order. Discounts are available for bulk orders. If you choose a bespoke design, I will draft it, and send it to you electronically, so you can proof it before it is created. It is not a problem if you want to make some last minute changes. All my bespoke frames are created at a local family run framers, which I have been working with, for several years. I support several charities, including; Street Child https://www.street-child.co.uk/, & The WWF https://www.wwf.org.uk/. 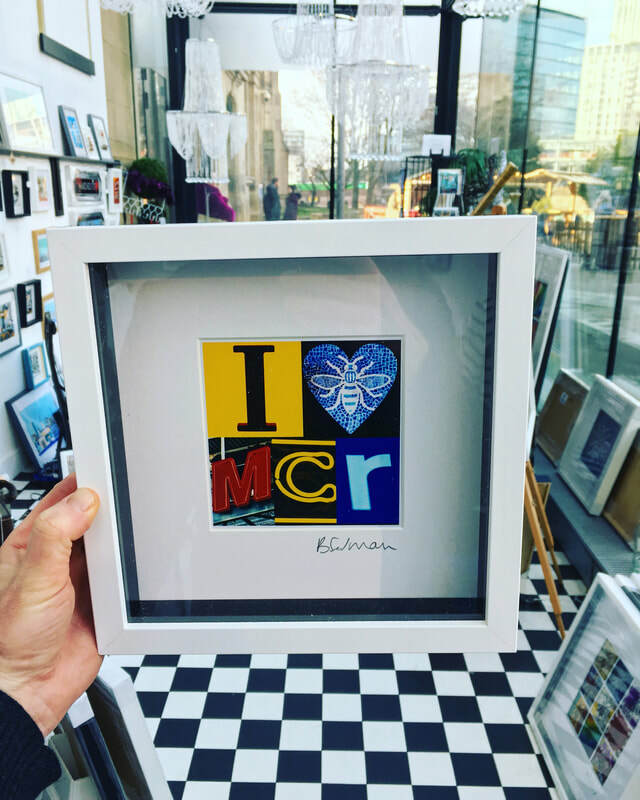 I also donate to The We Love Manchester/ Major Of Manchester Fund http://www.welovemcrcharity.org/ and Forever Manchester https://forevermanchester.com/ and Manchester Street Angels https://www.justgiving.com/manchester-streetangels through The CAPE Gallery. I also donate pictures to a number of fundraising events, including the NSPCC and school raffles.